By Pieter van den Wall Bake – On March 20th Perspectivity facilitated the Perspectivity Game for the Student Association for International Relations (SIB) in Groningen. In the historical “Van Swinderen Huys” a group of 30 students gathered. 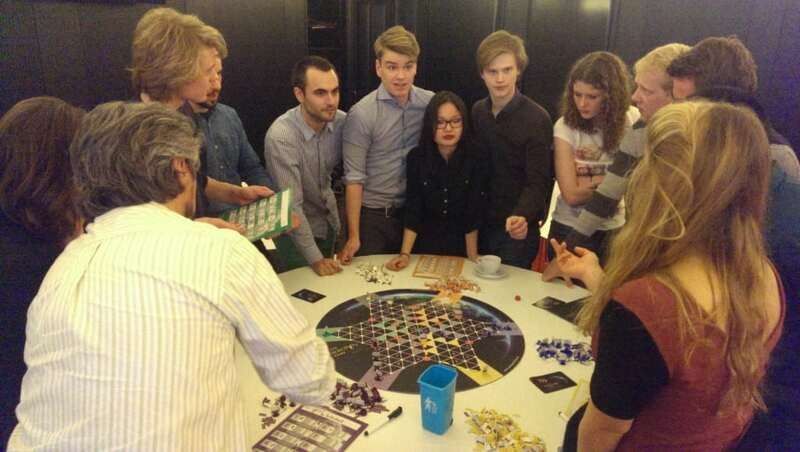 The game was played during a 2-day annual congress organized by Foundation Develop Your World. The theme of this year was: “Leaders of the Future”. After a short introduction the students delved into the game. When teams aimed to expand their economies, the energy level went up quickly and conflict arose regularly. Both tables used distinctly different approaches to solve the conflicts. After 10 rounds of inspired game play and intuitive interaction a short break was welcomed. After the break a thorough and open debrief was held leading to deep insights among students, from The Netherlands to Brazil. During drinks the students engaged in a lively conversation about how it feels to step in the shoes of international politicians. We hope we were able to contribute to the ideas of the “Leaders of the Future”.